This is like rent-a-room but on steroids. That is to say you can earn many times the amount you would have made if simply rent out the rooms to lodgers. Why get £50 a week rent when you can get £50 a night! Running a B&B is a job! So the rewards are higher but so is the effort. So it is not simply a case of flinging a resident a key and telling them to get on with it. When you run a B&B you will get a very high turnover of residents and you will need to be on their beck and call. Also the guests will need feeding! However if you get good at it the income you can get from it can be very respectable. If you get really good at it you can scale up and own hundreds as some big players do. Now there are high advertising costs, conforming to regulation and long hours. But if you are up for it the rewards are there. If you like people then this could be the business for you. Well located – you need to have a fairly decent occupancy rate for this to work. There has to be demand for the rooms in order for you to cover certain fixed costs over and above the mortgage such as advertising costs, food preparation, higher rates etc. This can only be achieved by a well located B&B. Multi-roomed – again you need a decent number of rooms to make this work. I would say a minimum of 3 rooms is really necessary to make the numbers stack. I will show you what thresholds need to be met further down below. Theme – the B&B needs an edge. It is a saturated market so there needs to be a reason why potential customers would choose you over others. Price Discriminate – this is so important. This means you must alter your room rates depending on the time of day and where you are in the year. This is sometimes the difference between profit and loss. Maximise profit – you must chase profit not turnover. To do this you chase revenue and control costs. It is easy to over spend but very difficult to keep costs down but also deliver a great service and make a profit. yield. That is to say the anticipated annual revenue from the B&B should equal approximately one third of what you can buy the property for. Now you have to be careful here. This is not a simple case of multiplying the number of rooms by the nightly rate and then multiplying it by 365 to give you the annual revenue! 4 x £60 x 365 = £87,600. In the above example we have assumed that the property has a100% occupancy rate. This means the rooms are full every day of the year. Now this could be the case but it is crazy to assume it. What needs to be calculated is the occupancy rate. Now occupancy rates can be found for various sectors of the hotel market namely the B&B market and they analyse right down to the geographical towns and cities. Now the data is as good as what is inputted by the subjects. The validity of the data is down to you to decide. However getting occupancy rates can be great to give you a guideline of what to expect when it comes to occupation. So the idea is to get your anticipated revenue based on these fluctuations to get a more accurate figure for revenue. Now this is so important. You must build an accurate revenue figure. If you can get this figure right then the rest is simple mathematics. If you are able to build the anticipated revenue figure more precisely than others then this will enable you to spot an opportunity over others. Now if you do not know how to use Excel then do so. Excel is a piece of software which assists you in building spreadsheets. You can create forecasting spreadsheets which you can use time and time again. 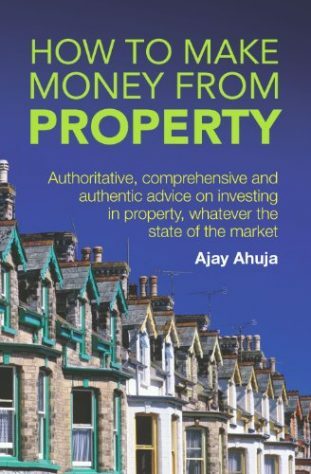 If you join my newsletter at www.ahuja.co.uk I will send you one for free! Excel is quite simple to use. Simply do a search on “how to use excel” on the internet and you will get hundreds of guides. And then you have to fill in the gaps. So the first box is for room 1 in week 1. The figure that goes in here is what you can achieve as a room rate for the first week of the year (week 1) for the room in question (room 1). You would isolate the weeks where there is high demand and low demand and adjust the room rates accordingly. So let us say you was considering buying a B&B near Wimbledon then you would isolate the three weeks in summer when the tennis tournament is on as high demand weeks. If you were considering buying a B&B in Clacton then you would isolate the school holidays as high demand weeks and the weeks during winter as the low demand weeks. Some of this work may have been already done for you. If you visit potential competitor’s websites they may have a room rate table which you could view so you could see when they charge more and less for the rooms. Now the actual room rates you charge will have to be an estimate. The easiest way to estimate is again to look at what your competitors are charging of similar quality. So if a 3 diamond/star guest house is charging £50 per night then you could assume the same rate if the B&B you are thinking of buying is a 3 diamond/star guest house. 7 x £50 = £350. Now you have to do this for every week. It does sound like a mammoth task but a lot of the weeks will be the same. The only time you have to tweak it is in the high and low demand weeks. So the anticipated revenue is £60,631. So the B&B needs to be priced £183,730 for it to be worth buying. There is one good reason why. Yield takes care of all that. The threshold yield is set at a rate which allows for costs of all of the above. If you can get a 33% yield then you will have to seriously mismanage the other costs before you lose. If you can get 33% you can make all the mistakes and still survive. Your anticipated profit could soon be a real loss. 33% - 6% = 27% of the purchase price to run the B&B. 6% being the borrowing costs. 27% x £183,730 = £49,607 to play with. Lets call it £50,000. So if you can provide a B&B service for less than approximately £50k the difference will be your profit. So how do you run a B&B efficiently so you make a profit? Well that is largely down to you. Hard work and rather than paying someone else will hold you in good stead. However I will give you some pointers further below in chapter x but next I want to tell you where to find the right B&B. You have two choices; the hard way or the easy way. The hard way is converting a residential property in to a B&B. The easy way is to buy an existing B&B. Lets look at the hard way first just to see how hard it is. If you want to convert your home in to a B&B it is possible in some authorities to do this without planning permission if you want to have no more than 3 rooms. In all other circumstances you will need planning permission. It is best to run any idea through the planning department just to make sure. You will need to get a change of use from residential use to commercial use. How easy it will be able to get depends on the potential impact your B&B will be on the rest of your neighbours. Things like parking, potential noise and the impact of having a commercial premises in the area will all be taken in to account. I would suggest you use the skills of a planning consultant as they will have direct access to the planning team and will be able to save you valueable time and effort trying to gain planning permission for something they know will not get approved. You may have to move a few walls around in order to make your living quarters fully self contained. The alterations will have to comply with building regulations so using an architect would be adviseable. Now my advice is unless there is a specific reason to buy this residential property and convert it to a B&B (because of the location, you already live there or you got it really cheap) I would avoid going down this route. I would aim to go for an existing B&B that is up for sale. There is no change of use application nor any major building works. There are many benefits to buying an existing B&B. There is no planning required and it is all set up. There will be an immediate cashflow when you purchase as the business is all set up. Now it will come to no surprise to you that most are not worth buying. That is they are too expensive as they will fail the 33% yield test based on the declared income from their business accounts and based on the anticipated revenue calculation you would calculate. However there will be times where you can spot opportunities where you can get a higher revenue thus a higher yield. This will be your belief in your abilities to turn a B&B around. If they are selling because the business does not work then that would be a big clue that it isn’t going to work. They will not tell you this directly but you can quickly establish this by looking at their accounts. If it appears that the business didn’t work try to see the reason for failure. Was it a simple case of bad management or had the B&B lost a lot of trade due to the large Travel Lodge erected next to it last month! Reasons for sale that should not alarm you are when the owners state retirement, ill health, relocation, alternative investment or some other reason which does not seem related to the actual business. You have to be shrewd and read between the lines. If a major attraction is closing down next month then this will directly affect your revenue and the owners will not volunteer this information. The accounts they have will be sole trader or partnership accounts. They will not be audited and are prepared on the information and statements provided by the owner. Now there are some owners who do not declare all their income as sometimes they receive cash and do not declare all the income. So the figures may be understated. To verify the revenue you could ask to see copies of the signed VAT returns or even better official documentation from HMRC showing their turnover levels. You could also ask to see copies of their tax return or even better would be their SA302 from HMRC which will show their tax computation based on their profit for the last tax year. Spend an evening opposite the B&B and see how many people arrive to check in. if the owner says we are fully booked every night then lets see the foot flow to match what he says. If there are 5 rooms in the B&B then you should expect to see 5 different residents enter or leave the building during the course of the evening. This size is manageable by you and you only. So it can be fully owner operated without the need for any staff. This size will not take over your life and the breakfast, laundry and cleaning can be managed by you and/or your spouse. This size requires a bit more effort. You will need to take on a cleaner and/or cook to help out during the busy times as a couple will not be able to do all the work. You will need a decent sized kitchen to cater for the greater number of guests and you will need to think about parking. However bigger sizes means you can benefit from economies of scale and take on group bookings. If you look at an average cost per room you will find the higher number of rooms the cheaper cost per room. So will see 5 bedroom B&Bs going for £200,000 and 10 bedroom B&Bs going for £300,000. So the smaller B&B room purchase price is £200k/5 = £40k but the larger B&B room purchase price at £300k/10 = £30k. So there are real reasons to go for it BIG style as it will be easier to break the 33% yield threshold. USP – USP stands for unique selling proposition. There should be a reason why people come to your B&B which is unique to your business. Theme – this could be the décor you use within the B&B. You see the hotels in Las Vegas all having their own crazy theme to lure you in. Niche – this is where you focus on certain groups of people with a common interest. Price You can be the cheapest or the most expensive. Either way you will have a reason for people to come because people just like to have the cheapest or most expensive in the area. Quality Do you want to 5 star or unclassified? Positioning yourself as the highest quality is a common way to stand out. Think Hilton Hotels and you’ll get the idea. Location Do you want a B&B in the dead centre of where it is all happening? People will pay a premium to be in the heart of it. Food Do you do a mean English Breakfast? Let your sausage be the talk of the town and watch them pile in from all over. Age You could run a really funky young B&B or one that focuses on families or even single parents. Out Doors You could one that focuses on specific out door activities such as rock climbing or bird watching etc. Sports Focus on specific sporting activities such as surfing or snow boarding. Sexuality Gay B&Bs are quite common in Blackpool and Brighton. Does your area lack a gay B&B? Nothing I have said is ground breaking it is just common sense. But do not get caught out and get what is technically called “stuck in the middle”. Differentiation is key so there is a reason to come to you. Foot flow Make sure your B&B has kerb appeal. So nice and clean exterior with an attractive sign to catch the attention of passers by. Make sure your sign “No Vacancies” is turned round the right way! Website You should definitely have a web presence. Nice clear pictures of the outside, the rooms and the communal areas will eliminate any objections they might have. Have a capture form to capture their details like email and telephone number so you can get back to them if they enquire. Consider sending a newsletter once a quarter for anyone who does enquiry emailing them with your latest offers. If you can have a 24 hour answering service so yu never miss a call. If you are brave enough you could have customer feedback rating but make sure you monitor it. A negative response could kill enquiries. Use Google Adwords to promote your site. You can read my book called “How To Make A Fortune On The Internet” which will show you exactly how to create an online presence. Online Networks There are plenty of networks out there. The one I use is laterooms.co.uk. you can get an excellent amount of leads and some only charge per lead or even per booking. Offline ads You could write articles or pay for ads in the magazines and newspapers that specialise in your niche or theme. Tourist Board Listing with tourist guides or the tourist board can generate enquiries and the great thing its completely free! Word of Mouth The best form of advertising. If you do provide a great service then you can be sure your B&B will get repeat bookings. Sell memorabilia/goods to guests – depending on your theme or location you could benefit from selling goods which you know your customers could potentially be looking for. Offer Food and or Alcohol – you could expand the kitchen to offer lunch or dinner and even be able to offer them a glass of wine to go with it. Margins are very high on food if you keep an eye on wastage and the margins on alcohol is even better! Broadband – you could offer metered access to broadband. Some hotels charge £10 for 24 hours so there is nothing stopping you doing the same. Consult H&S professional to do an assessment on the property to make sure you have covered all bases. Being able to perform first aid would be advisable even though not a legal requirement. Now all this compliance costs. It is important you comply but cost effectively. I set the 33% threshold yield suitably high to take in to account the high costs of compliance. A B&B is not your normal buy to let. There is plenty of regulation to adhere to.